Brenda was born in a small town in Rift Valley, Kenya and currently resides and works in Nairobi. Her desire to join the social sector has been shaped not only by her educational background – she holds a bachelor’s degree in Development studies – but also by her work and volunteer experience which has revolved around women empowerment and education programs. She’s currently working with Turning Point Trust-Kenya, an NGO that runs an education program in the Kibera slum and it is here that she’s seen the huge education gap that exists in the country. 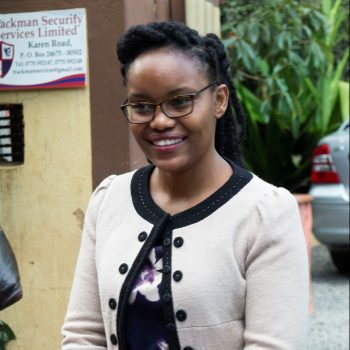 She envisions creating an environment that not only reduces this gap in Kenya but helps children to unlock their potential and become change makers. She is joining Amani to expand her skill set and network needed to deepen the impact she seeks to have in the world.